I decided long ago that having a child is just not something I wish to do. I have not wavered from this choice. I have never received so much unwarranted judgement for a seriously personal decision. It is fascinating how people seem to take this news. Like that it in any way, shape, or form, has a direct impact on their life. Responses range from shock, disbelief, amusement, confusion. Confusion is always my favorite. “Wait what?” “Isn’t that like your job?” “It’s what you were put on this Earth for.” I get these types of reactions from men, but even harsher judgement from women. “Don’t you want to be a mother?”. Uh, no, no I do not. Hence the conversation. “There is no love like the love for a child”. Well I wouldn’t know, but I am doing just fine with my love for self, travel, chocolate, independence, shopping, learning, exploring, etcetera. “You will change your mind”. Yes, you clearly know me, my character, my personality, my drive, my goals and aspirations so well that you can predict my future decisions. Now, you may be asking yourself how I get into these conversations. Why bring it up, if you don’t want to hear judgements or assessment of your life? Well, apparently in our society, if you are a woman in mid-20’s to mid-30’s and you don’t already have children, people find it necessary to question why. They just ask. And as I’ve mentioned before, I was married, and I was also a military spouse. So, take that mid-20’s range and lower it to early-20’s, or even late teens. I was a ‘unicorn’ in the military spouse bubble. This is not an exaggeration in the least. I married at a very young age, and was with my husband for a little over seven years. From the second we said ‘I do’ we would be asked when we we’re going to have children. It was never an if, always when. We were the ONLY couple among our circle of friends that did not have children. Every group gathering, we would be questioned. ‘When are you going to start planning?’ ‘When will you have your first?’. All this dialogue going on, while 15 screaming, crying, pooping, sticky, dirty children were rampaging around us. Was this suppose to be convincing? Conversation on my decision would ensue. Judgements would be made. And it would always end with “well, you will change your mind”. I eventually just stopped going to these group gatherings, as I was always the ‘odd’ one out. I find myself feeling ‘odd’ a lot of the time. I don’t always fall into this conventional scheme of womanhood, I don’t always follow the gender role designated for me. When I’m around large groups of women that fit the mold, I feel very alienated, I don’t relate. And this topic in particular seems to further that divide. Yes, from the biological standpoint I understand my ‘purpose’; the female of the mammalian species is the vessel for fetuses. Reproduction and survival of the species is genetically encoded. Apparently, something went wrong in my genetic coding, for I am able to override this primitive directive. Luckily, for outliers like me, civilizations were constructed, leading to conventional societies, wherein this society, for the most part, I can make decisions for myself. And this is one. And luckier more, I live in a time where medical advancements give me options. Options which I am currently pursuing. 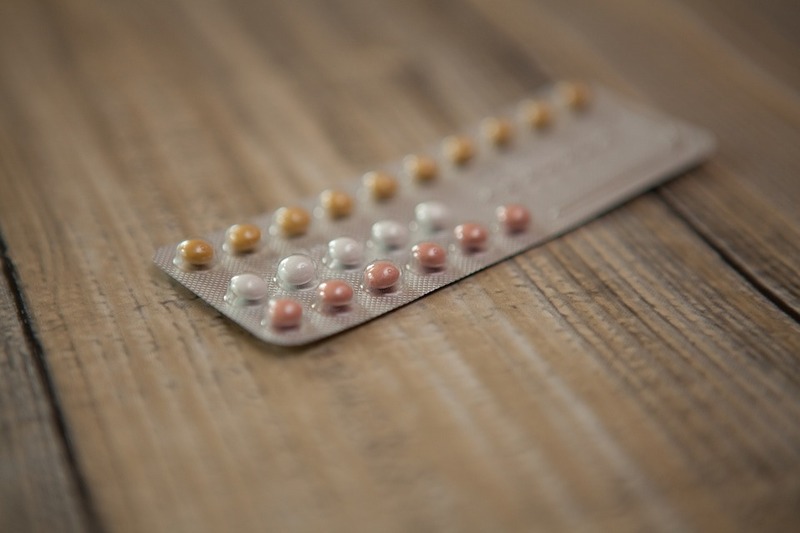 I have been on several types of birth control, starting with the pill, from low estrogen, to high estrogen, to progesterone only variations of the pill. I have also had the arm implant Nexplanon, the vaginal ring Nuvaring, all of which have been terrible experiences in themselves. I do not enjoy the side effects and risks that come along with the many common forms of birth control available. All of which are confirmed through numerous studies. A few years ago I presented my decision to my physician and asked for options in pursuing more permanent forms of birth control, specifically ones that result in a discontinuation of the menstrual cycle. I am not a woman who finds power, femininity, or any deeper meaning in my monthly flow. It is a shedding of the inner lining of the uterus and nothing more to me. It is inconvenient, it is uncomfortable, it is physically and mentally draining, it is painful, and it is wholly unnecessary for me to endure as I do not wish to reproduce. The wish for a cease in my menstrual cycle leaves me with fewer options in permanent birth control. And has resulted in refusal by my prior physician to allow me to pursue these options, for I am too young, I will change my mind, it is unethical to let me decide this, there are too many risks in the options I want to choose. So, what are these options? Essure is a spring like device that is placed into the Fallopian tubes. The irritation of the device causes the tubes to scar, effectively blocking them. It is a non-invasive procedure that is inserted vaginally and threaded into the Fallopian tubes. Then there is tubal ligation, more commonly referred to as ‘tube tying’. It is a minimally invasive surgery, that can be done through a laparoscopic procedure. The surgeon locates the Fallopian tube, a section of the tube is tied off, and the section between the knot is removed. Both procedures are irreversible and therefore, you should be quite sure of your commitment to not having children, or any more children. Also, both options do not affect the menstrual cycle, so it will continue as before. What I am pursuing, and which is met with hesitation, is an endometrial ablation. This is a procedure that destroys the lining of the uterus, by cauterization. This is usually used in treatment for severe uterine hemorrhage, i.e. heavy bleeding. I am trying to pursue this procedure in combination with tubal ligation, as ablation is not a form of birth control itself. Another option I have also inquired about is an elective partial hysterectomy. This type of hysterectomy consists of a removal of the uterus, but leaves the ovaries and other surrounding reproductive organs (total hysterectomy results in menopause). I have been turned away from my previous doctor, as I am too young to commit to this decision. I was 25 when I first pursued this, I am now 27 and still pursuing. I have found a new physician who is more understanding to my wishes. She has officially scheduled my consultation with a surgeon, but again I have hoops to jump through. The surgeon might ultimately decide it is unethical to perform an elective surgery. Unethical in the fact that there are always inherent risks with surgery, and that if the surgery is not of medical necessity, the risks are not worth risking. I understand this, but ultimately the decision and the weight of the risks should lie with me. I have done my research, I am a conscious informed adult, and I still wish to go through with it. The surgeon also has every right to deem it unethical for personal beliefs. Yet another hoop, is insurance coverage. Because this is not a medically necessary procedure, coverage is unlikely (tubal ligation on its own, is usually covered by medical insurances). My surgery consultation is in two months’ time, and I fully intend to follow up with a Part II, to this post, as to the results of that consult. Before anyone flies off the irrational handle, let me say this. I am not denying the importance of motherhood. I am not saying anything to slight it, my opinion is quite the opposite. The things that mothers go through, from birth to every second after that, is magnificent. I see it, I respect it. It takes a certain kind of woman. It is terrifying, it is honorable, it is sacrifice, it is beautiful, and it is selfless. Now, all of this is only true when A equals B; raising a baby human to become a decent adult human. I’m not talking about assessment on a small scale, that is critiquing every part of how a parent chooses to raise their child. Who the hell am I to pass judgement on that? I know nothing. I am talking about the end result; if you are a parent, and your offspring is not a racist, bigot, sexist, narcissist, ignorant adult than I applaud you; standing ovation. It is appreciated by a good amount of the populace. There must be an unquantifiable amount of fulfillment in that success. I respect parenthood, those who do it well. I also do not hold any negative judgements over women who decide to be stay-at-home moms. I do however hold harsh judgements over women who are stay-at-home wives, but that’s a whole other rant in itself, I will leave for another day, another post. I digress. All in all, I simply know myself well enough, to know that motherhood is not for me. That should be okay. It should not be judged by anyone. I also understand, that yes, one day I could possibly change my mind. That is a risk that I understand, and would not presume to say would never happen. It is a possibility, and I would have to live with my decision, and deal with regret for that decision. Again, I am a fully conscious well-informed party, and still wish to pursue this endeavor. If you are a woman with similar sensibilities as myself, you are not alone, and there are options available for you to explore. Check out the vlog documenting my surgery. Hi! Interesting post- I wish you all the very best in your pursuit of sterilization. I totally hear you about the barriers you’re trying to overcome and it seems all you can do is keep asking and keep trying. I’ve just been sterilized, which is really lucky for a 25 year old with no children. But it’s so much harder for females – they seem to have so many more obstacles in the way to stop young women from being sterilized, and though I had to ask and ask and pay, I’m fairly sure if I wasn’t a young guy, I would still now be fertile (and disappointed!). Good luck! Hey Will, thanks for the feedback. I am intrigued, I did not realize that pursuing sterilization for men would be met with any hesitation, I suppose that was short sighted of me. I am curious for many reasons if you’d be willing to share. Was your physician male or female? What did they say to you to try to sway your decision? Was it similar to my experience? I’m glad to hear you got what you wanted out of it. I’m keeping my fingers crossed. Thanks for the comment! This post had so much (verbatim)of conversations, experiences, thoughts and feelings I had in my 20’s and I was ABSOLUTELY sure nothing would ever change… even left an almost decade long relationship because I knew in my heart he wanted children. Obviously at almost 40, and with a new partner, something clicked and now I find myself with the most amazing little human… can’t imagine my world without her- ok, if I’m honest maybe some nights with a tall glass of red wine. 😉 That said- should you choose to continue life without procreation… I’m sure you will still find all the rewarding love, connection and experience through friends, family and life. Anyway… thanks for sharing- I spent about 15+ years of my life telling people that I couldn’t stand kids… that wasn’t completely true- I couldn’t stand people constantly asking me when I was going to have them and why I didn’t have them. I like your blog and glad you shared to FB. Thank you so much for writing and sharing this. I’m finding a trend among Autistic women to seek sterilization before their 30s and are finding joy when able to have it completed. Not my personal experience, and I appreciate the journey to the decision and surgery. Thanks Eve, and thank you for the share! I’m glad you enjoyed it.